Happy New Year!! Ok, we are a week into the new year, how many of us have kept our resolutions? Did we even make a resolution? Well if you did make one and you are still on track we congratulate you. Whatever change you have made we hope it continues. 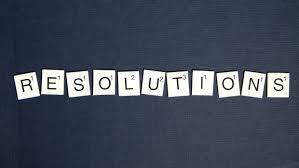 If you did make a resolution and you have kind of sort of kept it or put it on hold we are here to help you achieve it. Making resolutions is a positive way to start a new year. It is a chance to change something that you have been putting off or get a fresh start from a past year you are trying to put behind you. Making the resolution is the easy part. Following through on the resolution is the hard part. Today we are going to focus on the two most popular resolutions. 1. Lose weight 2. Get More Exercise Most people want to make these changes and a new year seems like the best start. 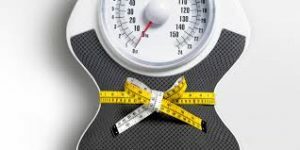 1.Lose Weight – so you are resolving that this is the year you are going to get your diet on track and lost some weight. Fantastic! You start by throwing away the junk food and buying more fruits and vegetables. Week one goes great! Week two was a little tougher. You worked late or the kids had activities and take out was just a more convenient option than cooking. Week three wasn’t as healthy but you will start again February 1st. The reason most of these resolutions fail is actually very simple. Planning. Very rarely do we plan out how we want to make these changes. Yes, it is easy to change what you buy when grocery shopping but you have to remember what comes with those changes. Preparation time. Buying fresh foods involves properly preparing those foods and this can be time consuming. Knowing our schedules and planning ahead can help us keep our resolutions to eat healthier. After bringing home the healthier food take time to prepare what can be make in advance. Clean and cut vegetables. Storing them in bags or containers makes them easily accessible for snacks or meals. Taking an extra 30 minutes to 1 hour on the weekend to prepare food for the week can save you hours during the week. Give yourself that little extra time and your chance of success will greatly increase. 2. Get more exercise – “I’m joining a gym in January” is one of the most popular resolutions you will here. Walk into any fitness facility the first week of January and you will see many new faces. Walk in to that same facility in February and many faces will not be there. Wanting to get more exercise and be more active is never a bad thing. The reason this resolution fails is because many people do not factor in the time or commitment a gym membership involves. However, that is not the only reason. 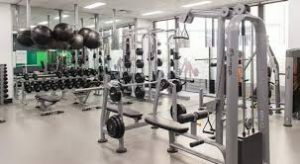 There are a large number of people who dislike the gym atmosphere. Maybe treadmills and weights are not for you. That does not mean you cannot keep your resolution. it just means you need to find the activity that is right for you. Walking is a great way to be active. (yes it is cold in winter but try walking around a mall a few times a week – one spring hits you can head outside) Maybe you prefer sports. There are many adult recreation leagues you can join once you find the sport that suits your needs. There are also other alternatives to the gym. Exercise classes. Cycling classes, bootcamp classes, zumba classes and yoga just to name a few. Finding something you will enjoy is 100% more likely to make you successful in keeping your resolution. Forcing your self to do something you do not like may have short term results but have higher long term failure rates. Whatever you may have chosen as your resolution this year we wish you every success. Give yourself time to adjust to the change and trust in your ability to make that change. Set backs happen but can be overcome. Set realistic goals and be proud when you achieve them. Plan ahead! Always make a plan before making the change. Remember with any change to your diet or exercise you should consult your physician first. May 2018 bring you health and happiness!